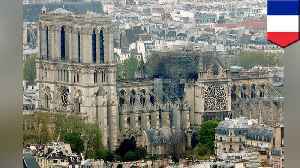 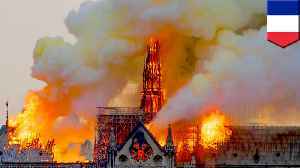 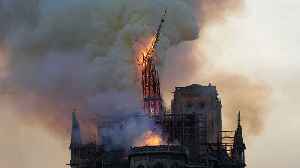 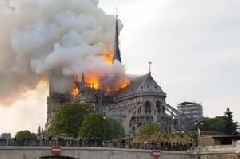 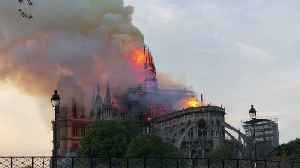 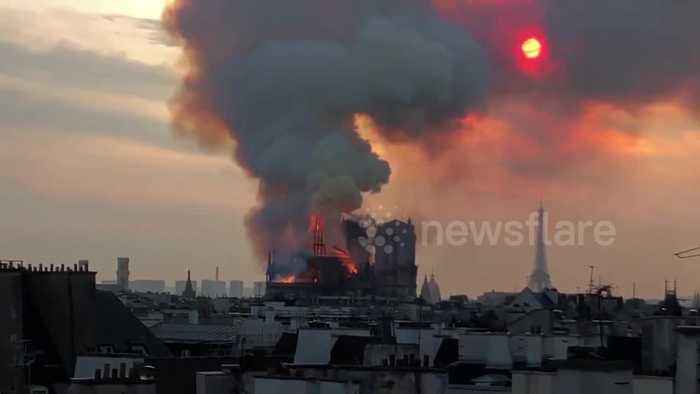 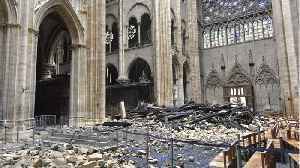 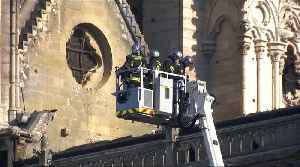 The main spire at the top of Notre Dame Cathedral collapsed in a devastating fire at Paris Cathedral today (April 15). 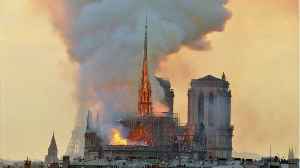 The filmer wrote on Twitter: "The fall of the great spire of Notre-Dame in front of the Eiffel Tower and the powerless Parisians..." Firefighters are fighting to save the 850-year-old Gothic building, but its spire and roof have collapsed. 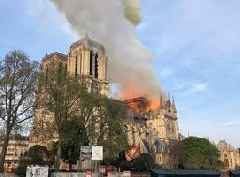 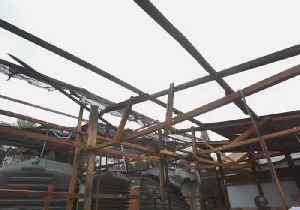 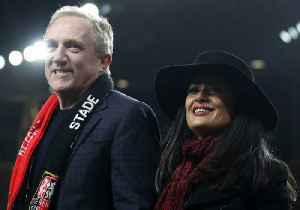 The main structure has now been "saved and preserved" according to a Paris fire official.